Wow, powerful shot. The color is excellent, and I love the way you framed this. Good work. Great angle, impressive building indeed. The story behind "Moscow University"
In most big cities you have some landmarks, buildings that will help you get your bearings. 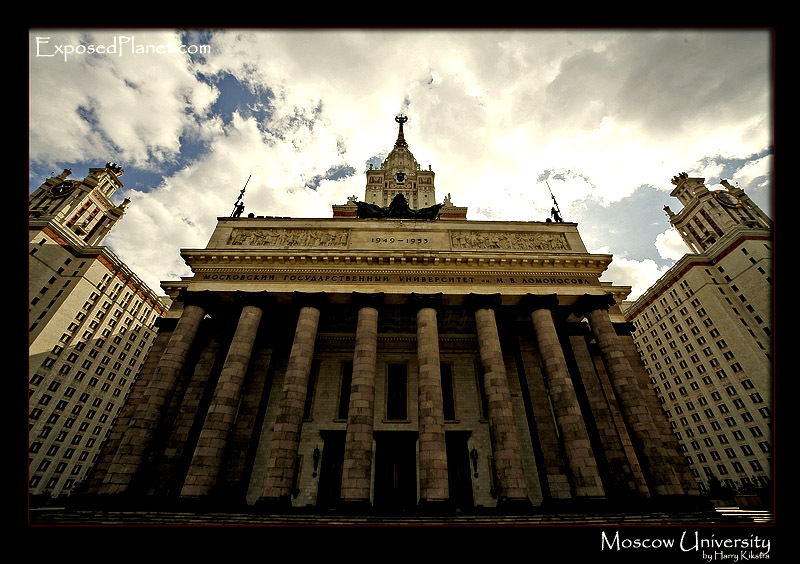 But Moscow has about a dozen of these huge buildings, with enormous wings and a high tower. Some are for the ministries, others hotels, but this is the University, on the South West side of town..